This compilation of some of the great moments in opera came about from the ABC Classic FM segment of the same name and its presenter, Emma Ayres, who through her own inimitable wit seeks to “explain’ or help listeners through the complexities of operatic plots. Ayres reveals a unique take on the onstage antics of stratospheric sopranos and tight-trousered tenors and reduces plot lines into everyday language. Read the liner notes and you will be amazed at Ms Ayres’s ability to interpret the stories of Nabucco, Rusalka, Lucrezia Borgia, Madama Butterfly, Faust, Lakme, La Gioconda, Candide, Don Giovanni, Rinaldo, Turandot, The Girl of the Golden West, Juditha Triumphans or South Pacific in the most readable way: a bit like Pogue and Speck’sOpera for Dummies or John Cargher’s very well-known How to Enjoy Opera Without Really Trying. Duets and ensembles also feature, no finer than the Act 1 duet between Don Giovanni and Zerlina La ci darem la mano (Danielle de Niese and Bryn Terfel) and of course the Flower Duet from Lakme (Glenys Fowles and Heather Begg). Of Don Giovanni duet, Ms Ayres writes: “ The sexual escapades of Mozart’s Don Giovanni make The Rolling Stones look like a cloister of Trappist monks.” Listening to FM at breakfast time must cause many an opera-lover spluttering over their cereal with this hilarious commentary. Emma Matthews’s Glitter and be Gay (Bernstein’s Candide) shows the coloratura skills of this fine Australian soprano. The disc ends with Bryn Terfel’s beautiful Some Enchanted Evening (Rodgers & Hammerstein’s South Pacific). Orchestra included here are the Vienna Philharmonic Orchestra, The Queensland Orchestra, Melbourne Symphony, Australian Opera and Ballet Orchestra, London Symphony, Royal Opera House Covent Garden, Orchestre Philharmonique de Monte-Carlo, Orchestra of the Age of Enlightenment, and The Academy of Ancient Music, with some of the supreme conductors at the helm, such as Richard Bonynge, the late Charles Mackerras, Christopher Hogwood, Herbert von Karajan and Zubin Mehta. For a quick bite size of opera, you can’t go by Tears on Toast. It will definitely wet your appetite for more. Ms Milne has assembled a range of piano music both new and old in a visually attractive format in order to breathe new life into the beginner’s world. Resembling the series from the UK by Jane Sebba (A&C Black), particularly in regards to the illustrations, the arrangement of pieces is designed to be sequential in order, culminating in a student ready for a Preliminary examination. Some teachers may consider many of the pieces go beyond that of Preliminary, however, it must be stated that many pieces look deceptively difficult. When a teacher deconstructs these, the student will become reassured that the pieces are achievable. Welcome is the introductory information or suggestions before each piece. This will better context for the teacher what the objective is in each, and help to give direction. There is great use of teacher accompaniment, duet format, improvisation opportunities (A little Latin), different styles (marches, waltzes, swing, blues, tango), changing metre (Didgeridoo), challenging notational demands (Island in the sea, and Too tired for anything) and chord clusters (It’s about time!). This all introduces at a very young stage, other sound worlds to the beginner. Another aspect which Ms Milne enjoys exploring is in relation to different hand positions (Aunty Flossie), playing in different ranges utilising the whole keyboard (Prelude and waltz in C) and, very importantly, noting patterns in music. Amongst the composers represented are Dulcie Holland, Elissa Milne, Felix Rybicki, Jane Sebba and Larry Sitsky, but there are so many more new composers to discover too. Unlocking the mind of the young pianist has been her key objective here in order to engage the player (and the teacher), and ensure a long life in the world of music. There is nothing ordinary or boring about this anthology or music. Here is a set of music ideal for creating a touch of flair and excitement in your student recitals. 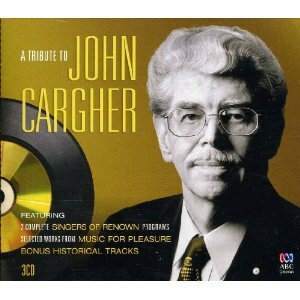 John Cargher (1919-2008) presented Singers of Renown on ABC Radio National for 42 years. In all that time, he never missed a weekly programme. If travelling, for example, extra shows would be prepared in advance. He even managed one from a hospital bed when recovering from a broken bone! One of the programme’s great attributes was not only talent spotting emerging artists, but the use of historical recordings from the broadcaster’s own vast collection. The crackly hiss of a 78rpm shellac disc might herald a performance by Melba or Caruso, and both of these legends can be heard on this release, along with more contemporary recordings from Domingo, Pavarotti, Freni and others. The 3CD set displays Cargher’s inimitable commentary, which made him a great favourite with the wider public. CD1 and CD2 each present a complete programme of Singers of Renown. As well, there are bonus historical tracks from Cargher’s collection. CD3 pays homage to Cargher’s other programme, Music for Pleasure, which also ran on ABC for nearly 30 years. This chosen programme contains archival recordings of Australian symphony orchestras. The Cargher collection is sure to delight many, but importantly forms a unique overview of singing in the twentieth century, put together by a master who was happy to declare himself an amateur. He couldn’t read music (he said, “the only instrument I play is the gramophone”), but his love of glorious singing was generously and intelligently shared with thousands. The typical elements of Spanish music, its rhythms, instrumentation and unique melodic lines, are most engagingly presented here by one of Australia’s most successful chamber ensembles, the Southern Cross Soloists (comprising Tania Frazer (oboe), Paul Dean (clarinet), Leesa Dean (bassoon), Peter Luff (horn), Kevin Power (piano) and Margaret Schindler (soprano). They have infused passion and excitement into this recording of Spanish wonders. Evocative flavours are found in two works exquisitely sung by Ms Schindler: Granados’ Five Tonadillas, Obradors’Chiquitita la novia, both ofwhich have much flair and zest. In de Milan’s Two Romances, the combination of voice and guitar has perfectly captured the sixteenth century character, and in some respects are similar to Dowland’s lute songs. It works well alongside Rodrigo’s Liricas castellanas which continues with a fifteenth century air using modern instrumentation, which emulates the renaissance combination of recorder, vihuela and cornett). Whilst the first two Rodrigo songs capture a melancholy air, the third sparkles. The ensemble’s founder, Paul Dean has made an arrangement of de Falla’s The Three Cornered Hat (Concert Suite)which works very well for this smaller ensemble. Fiery energy in the opening shows that this ensemble can produce an effect which is large and grand. Quirky phrases abound with quintessential Spanish turns, followed by a bold horn statement taken over by the oboe. There are two Australian composers on this recording, both of whom were commissioned for the Southern Cross Soloists’ 2006 tour with Slava Grigoryan. Gerard Brophy, a guitarist himself, has matched the lyrical poetry of Paul Verlaine with his own wondrous music in Verlaine Songs, displaying nuance that springs from the text. This is a perfect combination of instrumental colour, performers’ skill and composer’s inspiration, making these songs an addition to the chamber music repertoire of considerable distinction. Shaun Rigby’s three movement Chamber Concerto is couched in reflections of his infant daughter. It has a playful, and at times calm quality which explores the diversity of the instrumental combination well. One can only hope to hear from this composer in the future. This is a commemoration of 70 years of composition from one of Australia’s finest composers, Ann Carr-Boyd. There are solo works for cornet, viola and piano, as well as the chamber works The Razz Suite, Cool Valley and The Boulevarde Waltz (the latter of which appears both in string quartet form and solo piano form). The Razz Suite is a set of six short pieces alluding to the composer’s cats (past and present). All have quirky titles such as Tea for Tugger (a re-take of Tea for Two), Mysterious Kitty, Fluffy Boy, Rag for Razz, Fandango for Fifi. Whilst the first in this set, Prelude for Luigi is a solo violin piece, the remainder are for string quartet (sometimes with oboe added) or string trio. The composer’s writing for chamber ensemble is masterly and displays all the appropriate instrumental gestures, which make these pieces engaging. Her dance like qualities in this set capture the joy she had with her beloved pets. Cool Valley and The Boulevarde Waltz were commissions by Fr Arthur Bridge on behalf of Ars Musica Australis for the composer’s 70th birthday concert. They both have special connections with Penrith (both the Nepean river and the Joan Sutherland Performing Arts Centre). Rhythmic energy and tone colour explorations between flute, oboe and string quartet in the first piece contrast with a languid opening then typical waltz feel in the second piece. Not all the music on this recording is by Ann Carr-Boyd, as there are short examples of the work of pianist John Martin (Twilight Tango) and the composer’s father, Norbert Wentzel (Two Sketches: Prelude & Intermezzo). Both have strongly personal links with Ann Carr-Boyd and show a strong capacity for the genre. Sydney Symphony Fellows appear on this recording, as well as pianist John Martin and other instrumentalists. Australian pianist, Anna Goldsworthy began the study of piano with an Adelaide teacher, Eleonora Sivan. 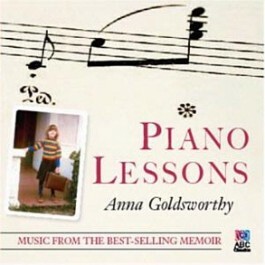 This charming disc is music emanating from Goldsworthy’s 2009 memoir, Piano Lessons. In it, she relives her childhood and development as a pianist, noting the significant moments and pieces that impacted on her. For any piano student (and teacher), this is an ideal disc, capturing all the essential works and some more challenging pieces. It is a journey from the beginner to a master level of pianism. Included are four Minuets from the Anna Magdalena Notebook (JS Bach), three excerpts from Dances of the Dolls – Lyrical Waltz, Romance, Hurdy-Gurdy (Shostakovich), The Little Shepherd (Debussy), first movement from Piano Sonata in B flat, KV 333 (Mozart), Impromtpu in A flat, Op 90, No 4 (Schubert), Rigoletto Paraphrase (Liszt), Toccata, Op 10 (Prokofiev), Prelude and Fugue in C sharp major, Bk 1 (JS Bach), first movement from the “Waldstein” Piano Sonata No 21 in C, Op 53 (Beethoven), the “Black Key” Etude in G Flat Major, Op 10, No 5, Funeral March from Piano Sonata in B flat minor, Op 35, and Nocturne in D flat, Op 27, No 2 (Chopin). The CD booklet has extracts from her book listed against every piece, as well as useful historical notes. The playing has great warmth, charm, clarity and beauty. It would be a great disc to give as a gift or prize to your piano students. But it is more than that, it is a personal story of one Australia’s finest pianists. Ms Goldsworthy currently teaches at the University of Melbourne and is Artistic Director of the Port Fairy Spring Music Festival. Online delivery of courses seems to be the way of the future. Music educators need to look carefully at all which is on offer in the cyberworld. One such product is The Contemporary Music Course from New Zealand-based composer, Clive Cockburn (former guitarist with the rock band, The Avengers). At $78 for a year’s unlimited access, it is a resource I would highly recommend. Portuguese composer and pianist, Antonio Vargas (b 1951) has composed extensively with his young career divided into two parts: jazz music (up to about 1991), and music for film, opera, orchestra and chamber music. These two divisions are based on his life being cast between study at the Rotterdam Conservatoire (until 1990) and teaching in Lisbon from 1991. 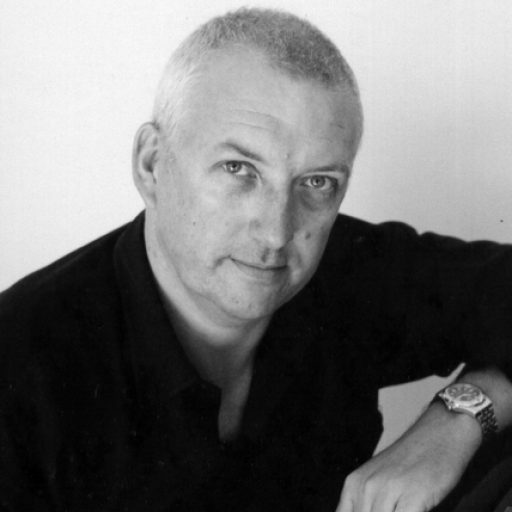 He is a composer of distinction, having composed for the Arditti String Quartet, Galliard Ensemble, Royal Scottish Academy Brass, and The Northern Sinfonia amongst others. Curiously, modern-day harpsichord music may seem rare, but there is a genuine interest in new material. Vargas’s Il ritorno is one such piece. Commissioned in 2002 for the International Music Festival of Mafra, the piece is in 4 movements lasting about 14 minutes. Its opening movement is a Preludio, showing idiosyncratic devices for harpsichord, such as ornamentation and variation derived from tempo fluctuations and harmonic interest. The second movement, Fantasia ossessiva is a brilliant and fiery display of technical demands with changing metres heightening the energy. Relief comes in the third movement, Interludio, with its contrasting articulations between hands, cross-rhythms and single-line parts. The final movement returns to a fast-paced idea of triplets and use of trills. This new collection of essays tackles an often mentioned but surprisingly little analysed topic. It consists of eighteen refereed papers by prominent composers, artists and academics, divided into three broad sections: Buddhist and Judaic-Christian Overtones – Traditional Asian-Pacific Culture and European Avant-Garde Influences; Pacific Corporeality and Metaphysical Experience – performance-Based Creation and Traditional Asian-Pacific Influences; and Pacific-Inspired Performative-Educative Creativity – Asian-Pacific Music and the Physicality of Performance and Education. The editors have summarised this three-part exploration of identity even further. The three aspects are (1) free vibrating metal resonances reference gong ensembles of the Asia-Pacific region; (2) SE Asian and by extension Asia-Pacific interpretation of time is metaphysical but arising from a specific place; and (3) a Pacific eclectic attitude underpins the creativity of the region often grounded in a dual awareness of place and global Western culture. The subjects of individual essays range from the use of Asian-Pacific musics in composition in the primary school classroom, to reinterpreting shakuhachi traditions in a contemporary music context and even microtonality and unusual tunings. 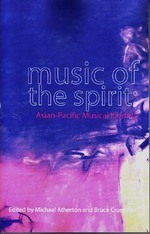 There are also many articles focusing on specific works by Australian composers, including Ross Edwards (such as Edwards’s own essay “Etymalong and the Search for Spiritual Identity”, and Paul Stanhope’s “Ross Edwards’s Reflections for Piano and Percussion”), Clare Maclean and Andrian Pertout, as well as texts written from a performer’s perspective. The essays were written as part of a practice-based research project, realised in collaboration with the Aurora festival (with Dr Michael Hindson overseeing) and co-ordinated by the University of Western Sydney. The research was also conducted through the Australian Music Centre’s online publication Resonate, through Publications by Wirripang scores, and ABC Classic FM broadcasts. Each essay whilst quite short is well referenced and a substantial bibliography is useful. Whilst most of the writing is in a highly academic vein, the keen teacher or student will be engaged by the depth of the information available, and will find new ideas perhaps never explored before. It is a revelation of the complexities in our surrounding cultures and its impact on the music here in the Asia-Pacific region. From the opening title track, we hear a powerful duo showing the wide vocal differences in colour between these two acclaimed artists. 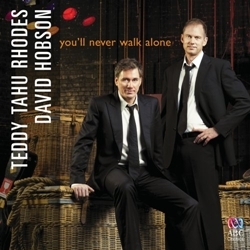 Solo moments from tenor Hobson in The Holy City and O Holy Night are quite splendid, as are the many rich and sonorous sounds from bass Tahu Rhodes. Some of the contrasts in vocal colour were at times unnerving, as in The Lord’s Prayer. But Hobson relaxes and is much more at ease in songs like Poor Wayfaring Stranger and Go Tell it on the Mountain, which were real joys. Not all the arrangements work, as in Amazing Grace which has for the most part unison singing with the voices too far apart in range. It is an ordinary arrangement and really doesn’t add anything to the existing repertory. Battle Hymn of the Republic has some strange melodic deviations and whilst the quasi-military element is evident with snare drum, what is lacking is a large choir behind these voices. The development of Abide with Me with its lush orchestration adds to this well-known classic hymn. Hobson’s light tenor is perfectly suited to the Bach-Gounod Ave Maria where he really shines. Similarly, Tahu Rhodes’ opening in Little Drummer Boy was magnificent, but the duo arrangement again lets down this track. This is a disc for the fans of these two popular singers, who through their associated national tour, no doubt will add many more fans.